This chapter examines the major issues involved in providing appropriate training and professional development for language instructors to improve their knowledge and skills and make informed decisions throughout all aspects of the assessment process. First, the chapter reviews the major approaches to conducting language assessment within the context of educational policies and societal beliefs over time. In reflecting on the changing contexts and approaches, the chapter identifies the underlying philosophies of training in assessment and how such philosophies align with approaches to both assessment practice and how teachers have learned how to conduct assessment. The chapter also investigates different approaches to training. Traditional language testing textbooks and their content, as well as the recent increase in the availability of such textbooks, are highlighted. The chapter then turns from traditional textbooks to traditional professional development and addresses ways that such professional development has changed, including the availability of distance learning and other online resources, as well as how such approaches provide opportunities for innovation and improved understanding of language assessment. 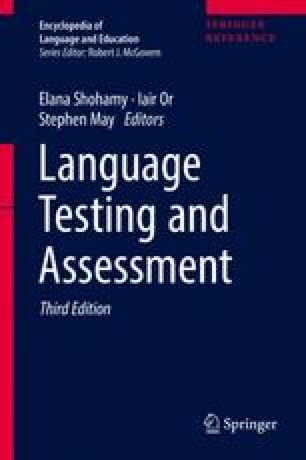 Finally, the chapter addresses the ongoing challenges in training for teacher professional development, including lack of resources and frequent lack of agreement between language testers and language teachers regarding the most essential topics for teachers to understand in learning about, developing, selecting, and using language assessments with their students.